Second set of french quartets. You can use this in combination with the previous set or separately. 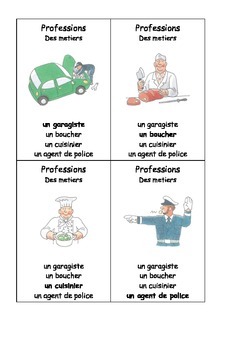 Themes: professions, vegetables, fruits and farm animals.